6. Lindsey @ This is my life. . .
Would my boys ever LOVE THAT! Unfortunately, the gluten free flours I have to buy are a bit too expensive... maybe rice? How fun! Congrats to you for letting him make a mess and have fun. You are one of those Moms. One of those Moms that I try so hard to be, who laughs with her children instead of worrying about the mess. Sometimes you just gotta have fun. Thanks for reminding me of that! How can one by mad it is better then the TV. 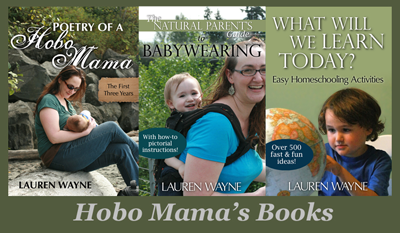 What a fun mama! And a beautiful mess! Haha. Happy WW! Thanks for linkin up. That pic brought back memories from when my 18 and 20yo dumped flour on the floor and then drove through it with tricycles because it made cool tracks. I have always wanted to do wordless wednesday, so i finally did it... here's my link. nevermind. I added it. Thanks for hosting! Oh my goodness, I love it! How fun and messy! Thanks for stopping by and linking up. Your little boy is just such a cutie. Have a great day. Love the flour. When I was a kid my mom actually had to put the flour way up high to stop my sister from getting in it and just eating it. silly kids. That looks like fun! Although I think you have a higher tolerance for mess than me. 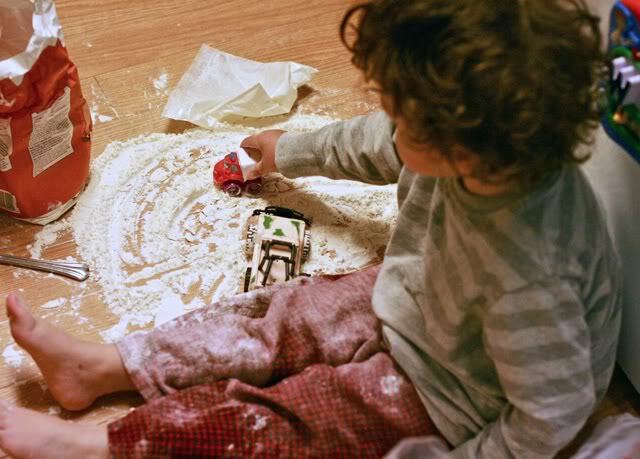 I can totally remember doing this my self about that age (55 years ago) my mom and baby sister were napping and the flour was in the bottom drawer. I got the sifter and sift sift sift all over the kitchen floor. LOL Another great WW! I'm so glad it's WW today because I wanted to post something but I really just felt like looking at/playing with photos today. Kay, where can I sign up for that kinda fun??!! Love it! I too let my kids be kids! Came by last night, but I was too early for WW LOL! I see your new button in the linky list, looks FAB! Point me to a "grab the code" & I will swap it out on my site for your new one if you want! Aellyn loves to play in flour too! It makes such a horrendous mess but it cleans up so quickly and the fun is well worth it! You let your kid play in the good stuff (King Arthur)???? really cute and fun for him. Amy: Yeah, if we bought specialty, I'd rethink it! :) Thanks so much for the link — you're awesome. K Soucy, Sara, Kristi, etc. : I have to make a little confession here. It was all my husband's idea … so he got to clean it up. :) I'm just the one who took the pictures! Nice deal, huh? Debbie P.: Nice one. I bet that was even more fun to clean up! Sukhmandir: Sifting! That would be lovely. I can see the temptation. Sarah @ FFP: I can definitely understand why you'd prefer flour over poop. That's hilarious! Here's hoping you get out of that phase soon. Lisa C: I totally understand that feeling. The Mayor! : I will have to get a grab code. My husband made it (sweet man) for ad space I'd won.